Let’s get right to the point: nutrient- and oxygen-rich blood is crucial for optimal uterine function, uterine lining health, and uterine lining cell proliferation. Healthy blood makes its way to and through the uterus via a healthy circulatory system and healthy circulation. Healthy circulation to the reproductive system, uterus included, is very important for women with endometriosis. Endometriosis is an estrogen-dominant fertility-health condition and also creates a situation of “congestion” where excess tissues grow in the uterus and can grow in many other areas of the body. These tissue deposits grow and bleed in response to hormonal changes throughout the menstrual cycle, can cause internal damage and inflammation, and can form scars. Each of these is a cause of and contributor to chronic pelvic “congestion”, which causes a myriad of symptoms and may make it harder for an embryo to implant properly in early pregnancy. 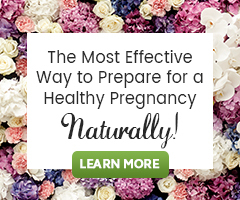 All that said, one part of a natural fertility program for endometriosis needs to be encouraging healthy circulation. To learn more, do read on and take time to refer to our guide 5 Steps to Reversing Endometriosis Infertility. Self Fertility MassageTM (SFM) and Castor Oil packs allow you a direct connection to your reproductive health. SFM is a series of massage techniques known to benefit circulation, digestion and the body’s ability to detoxify. Castor Oil packs are complementary to SFM. This natural therapy is as simple as soaking a cloth in castor oil, placing it on the skin and resting, to increase circulation and promote healing of the tissues and organs underneath the skin. We feel Castor Oil packs best proceed SFM. We know that exercise improves circulation. Regular moderate-intensity exercise helps your heart get pumping and improves blood flow to the entire body. Reminder: Our blood carries oxygen and nutrients to all body systems, including the reproductive system. Fertility Yoga not only stretches and tones the body, but also helps you learn how to breathe properly for stress reduction and healthy oxygenation of the body, boosts circulation, strengthens reproductive organs, helps for proper structural alignment of the body (necessary for proper positioning of the uterus), promotes healthy endocrine function for hormonal balance, and helps you focus on manifesting healing and your fertility goals. Other fertility benefiting exercises are: a daily walk, leisurely jogging or bike riding, Zumba and Pilates, and gentle strength training, The Aviva Method or Fit & Fabulous Pre-Pregnancy Fitness Program are excellent or, if you aren’t sure of an adequate level of exercise for your needs, consult a personal trainer. Staying hydrated is important for us all, but it’s particularly important for women with stagnating fertility health conditions, blood clotting disorders, or circulation concerns because, when we get dehydrated, circulation to and through the smallest capillaries that infiltrate our organs becomes slow or sluggish. Drink plenty of fresh water, squeeze in the juice of ¼-½ a lemon even, try herbal tea, or coconut water (nature’s electrolyte beverage). “… if blood isn’t freely moving through your pelvic cavity on a daily basis – bringing in oxygen and immune support while filtering out the waste particles – you’re automatically setting yourself up for monthly pain, or worse.” ~ Katie Edmonds, Nutritional Therapist absolutely passionate about helping women with endometriosis. So, if you suffer from endometriosis, start implementing these three tips just as soon as you can and again, refer to the guide linked in the very top of this article. And then, after a few cycles, share the changes you’ve seen in the comments below. We know hearing of other’s success motivates and encourages women to keep moving forward. Thank you very much for this informative article. Staying hydrated is really important for us all. we must drink as much of water as much is good for our body.